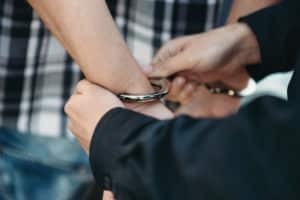 If you or a loved one has been arrested in Burlington Township, New Jersey, for a disorderly persons offense such as marijuana possession or a motor vehicle violation such as driving with a suspended license, it is crucial to speak with an experienced criminal defense lawyer about your charges. Many people are surprised to find out how severe the penalties can be for a misdemeanor criminal offense or even a traffic offense in New Jersey. For example, charges for possessing less than 50 grams of marijuana can leave you with a criminal record, a $1,000 fine, and 6 month’s suspension of your driving privileges. Similarly, DWI charges can land you in jail, loaded with court costs and fees, and unable to drive for months or even years. It is for these reasons that you must aggressively defend your innocence. The highly skilled criminal defense attorneys at our criminal defense law firm can help you do just that. William Fay, one of our partners, is a former Deputy Attorney General who uses his experience investigating and prosecuting cases for the NJ Attorney General Office to devise the best possible defenses for our clients. Our legal team applies this level of excellence to each and every client we defend in and out of the courtroom. For a free consultation with an experienced Burlington Township criminal defense lawyer, call 609-832-3202 or contact us online today. You can also schedule an appointment to meet with us at our local office. The Burlington Township Municipal Court is a local court authorized to handle certain types of cases that occur within the township. Since 2013, The Court also hears cases that arise out of Burlington City. Due to the size and breadth of its jurisdiction, Burlingtown Municipal Court is among the busiest in Burlington County. Specifically, the court hears cases involving traffic violations, disorderly persons offenses, petty disorderly persons offenses, citizen complaints, and municipal ordinance violations. More serious indictable offenses, also known as felonies, are sent to the Burlington County Prosecutor’s Office. The County Prosecutor’s Office then determines if a case should be downgraded and remanded to the Burlington Township Municipal Court (more likely for fourth degree crimes), or adjudicated in the Burlington County Superior Court in Mount Holly, NJ. The Burlington Township Municipal Court is located at 851 Old York Road, Burlington, NJ 08016. Municipal Court Judge Dennis P. McInerney presides of the court, while Rosa P. Henry serves as the Court Administrator, and Steven Wenger is acting prosecutor. The court office is open Monday, Wednesday, and Friday from 9:00 am to 5:00 pm; Tuesday from 8:00 am to 3:00 pm; and Thursday from 9:00 am to 5:00 pm. You can call the court directly at (609)-239-5825. Court sessions are held every Tuesday at 8:00 am and Thursday, twice per month, at 5:00 pm. For additional information, visit the Burlington Township Municipal Court website. For additional information about Burlington Township, visit the Burlington Twp Official Website. The Burlington Township Police Department is located at 851 Old York Road, Burlington Township, NJ 08016. For non-emergencies, the Burlington Township PD can be reached at 609-386-1000. You can also call the police desk at (609)-386-2019. To learn more about the Burlington Twp. Police Department, click here. A criminal charge or serious traffic offense in Burlington, NJ can be extremely damaging to your life in the short and long-term. Whether your charges involve simple assault, disorderly conduct, criminal mischief, trespassing, driving while intoxicated (DWI), or another offense, the consequences of a conviction should be avoided at all costs. You need an experienced criminal defense attorney who can work to have your charges dismissed or downgraded to a lesser offense. Contact our criminal defense law firm for a free consultation about your specific case and find out how our Burlington criminal defense lawyers can help you.